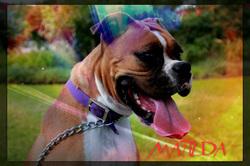 Matilda is around 2 years young and did great with her human foster siblings. Since she was just spayed, she has not been around her canine siblings. She is now in boarding and needs a family to call her own.